A couple of years ago am improbable news story emerged from the woods of Maine about the capture of an elusive man who had been robbing summer homes and camps for decades. He had taken on almost mythical proportions because he was able to gain entry to these places with minimal damage and was never seen despite some sophisticated surveillance equipment employed by frustrated property owners. When the mystery thief was finally apprehended through the exhaustive work of a game warden his confession was literally unbelievable at the start. Christopher Knight was in his late forties but he had driven away from his life, including family, at the age of twenty and disappeared without a trace. For twenty-seven years he had survived in a secluded spot in the forest, living entirely off the items he burgled from the various properties. He lived through harsh Maine winters without lighting a fire which would have given him away, careful about every footprint. He stole food, clothing, tents and tarps, and the propane tanks which fuelled his two-burner stove. He also read extensively and of course he pilfered the books as well. In twenty-seven years he came upon other people only twice and offered no more than "hi." 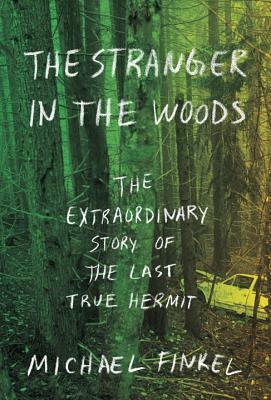 There is a book about Knight by Michael Finkel which is called The Stranger in the Woods: The Extraordinary Story of the Last True Hermit. Finkel wrote Knight while he was in jail, awaiting charges and trial. To his surprise he received a terse response from the "hermit" which prompted him to fly from Montana to Maine in the hope of an interview. Despite Knight's aversion to conversation they met nine times, which became the source material for the book. I found the book to be very worthwhile, well written, and fascinating -- who could possibly live this way, and why? Finkel also explores the nature of the lives of hermits through the centuries, those who have chosen to live apart from others for religious reasons or enlightenment. This isn't the primary focus of the book, but it provides a context. I've met hermits twice in my life. One is a Roman Catholic priest ordained a hermit in British Columbia and another a Cistercian monk in New Brunswick. Both live away from the "madding crowd" in the woods, although both are connected to religious communities and earn their keep rather than steal. There's is a special Godly vocation to silence, yet both these men were willing to talk with me and were quite gracious. The Cistercian spoke about leaving his hermitage occasionally to go to the doctor or other appointments. He observed that people seem stressed and hurried which we might concede is true. Both seemed to have a peace about them which was inviting. I'm not so sure that Christopher Knight was a "true" hermit at all, at least not in any classical sense. Authorities wondered whether he was somewhere on the autism spectrum, struggling with human interactions. He didn't seem to have any really purpose to his seclusion and no particular insights. Despite committing more than a thousand burglaries Knight was eventually sentenced to time served (seven months) and probation with serious limitations. 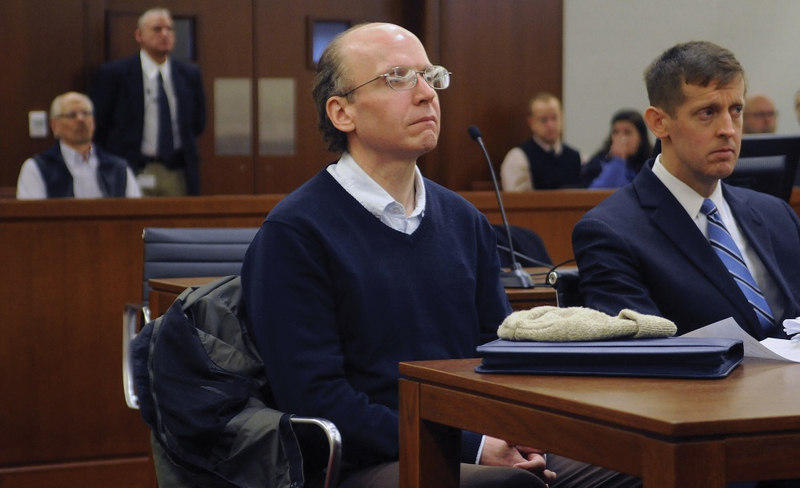 There was recognition that he didn't have malicious intent, although some of his victims felt that his ominous presence deeply affected their lives. His return to the "real world" has been uneventful but difficult and I am curious to know whether he'll ever experience the peace he felt during his austere decades in the woods.